John B. Zabriskie, an emeritus faculty member at The Rockefeller University, died August 17 at the age of 88. Zabriskie was a leader in the investigation of streptococcal infections and their long-term side effects, including rheumatic fever and autoimmune disorders. His work also made major contributions to understanding the link between bacterial infections and obsessive-compulsive disorders in children. Zabriskie was born in Montreux, Switzerland, in 1929. He attended Princeton University and received his M.D. from Columbia University College of Physicians and Surgeons. After an internship and residency at Bellevue Hospital, he served two years of active duty in the United States Air Force, stationed in France. Following a senior residency at Babies Hospital upon his return to New York, he joined Rockefeller in 1960 as a guest investigator in the laboratory of Maclyn McCarty. He eventually rose to tenured professor and head of the Laboratory of Clinical Microbiology and Immunology. He became a professor emeritus in 2000. Much of Zabriskie’s research investigated how the immune response to bacterial infections leads to secondary autoimmune disorders. A major focus was the study of rheumatic fever, an inflammatory disease that can develop as a complication of strep throat or scarlet fever, both of which are caused by the streptococcus bacteria. Rheumatic fever occurs most often in children and can lead to permanent damage of the heart. The condition is now rare in the United States, where strep infections are usually treated with antibiotics, but it is still a problem in many developing countries. Zabriskie made the seminal discovery that the antibodies made by the immune system as a response to streptococcal infections also reacted with cell membranes in heart tissue. This finding led to an understanding of the mechanism by which streptococcal infections can have a detrimental effect on the heart. His research also provided insight into the role of streptococcal infections in the kidney disease glomerulonephritis, which can lead to permanent kidney damage. In addition, music was a passionate pursuit of Zabriskie’s for many years. In the 1960s, Zabriskie regularly took cello lessons from Hiao-Tsiun Ma, the father of famed cellist Yo-Yo Ma, while the younger Ma looked on. He helped Hiao-Tsiun Ma found the Children’s Orchestra Society, which continues today under the direction of Yo-Yo Ma’s sister, Yeou-Cheng Ma. 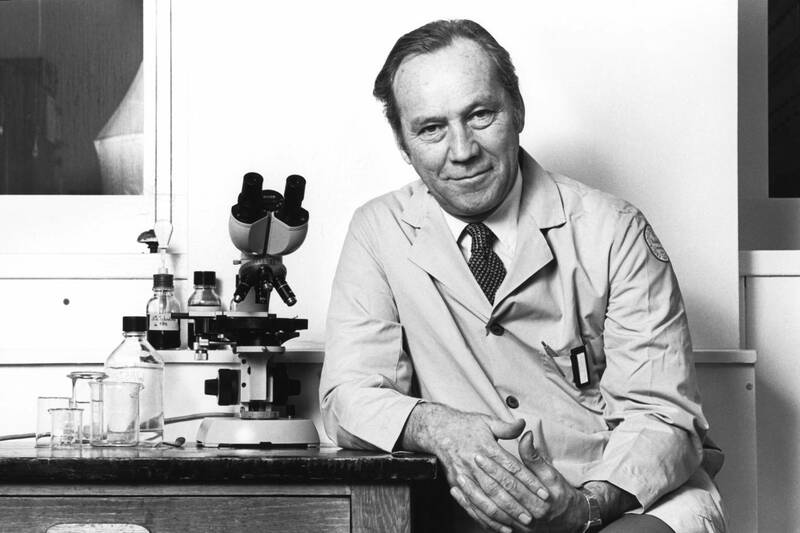 During a mini-sabbatical spent at the Karolinska Institute in Sweden in 1969, Zabriskie learned state-of-the-art techniques for assessing the immune response to complex antigens. Over the next decade, he used these techniques to demonstrate the existence of cellular immunity not only in post-streptococcal diseases but also other autoimmune disorders. In the 1970s, he received funding to study rheumatic fever in Trinidad, which then had one of the highest rates of the disease in the world. In later work Zabriskie found that the heart cross-reactive antibodies produced as a result of strep throat can also migrate into an area of the brain called the basal ganglia, resulting in Sydenham chorea, a disorder of involuntary movement, as well as some cases of obsessive-compulsive disorder and Tourette’s syndrome in children. These discoveries—made in collaboration with Susan Swedo of the National Institute of Mental Health—led to an improved understanding of how to prevent and treat these strep-related disorders. They also led to a screening test developed by Zabriskie for the broad category of these neurological disorders, known as pediatric autoimmune neuropsychiatric disorders associated with streptococcal infections (PANDAS). His research also explored the role that antibodies and the body’s response to infections played in other autoimmune disorders, including rheumatoid arthritis and multiple sclerosis. In addition to his life in science and music, Zabriskie was also known as an avid traveler, sportsman, and raconteur, sharing stories with friends and colleagues in the Rockefeller University Faculty and Students Club. Zabriskie is survived by his wife, Paulette; three children, John, Christopher, and Valerie; and six grandchildren.